Igan iluminacion SL (www.igan-iluminacion.com) are a company with extensive experience in the field of technical and decorative lighting, bringing over 10 years offering projects and distribution of lighting material. For this task we have the support with national suppliers Mantra, Schuller, Beneito and Faure, Leds C4, Massmi, BPM, Onok and international like Trio and Vistosi lighting in order to offer our customers a product suitable to your expectations and functionalities . Thanks to our extensive storage capacity we can offer short delivery times without unforeseen delays, these being sent by the main agencies of distribution (SEUR, AZKAR, MRW). Orders are reviewed by our operators, allowing no defects in the goods, or mistakes in shipments will find lamps, light bulbs, etc. Thanks to this structure, we offer you the possibility to buy lamps online with a professional service. 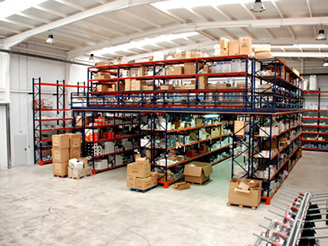 We have a large warehouse and a fast and efficient management system. We visited the main fairs of the sector to be able to offer the latest news of the sector at competitive prices.